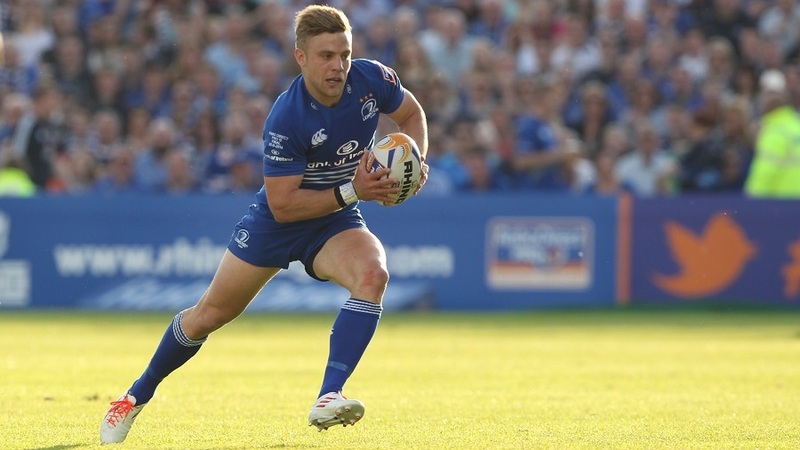 Leinster's Ian Madigan scored 19 points as they prevailed 24-11 over Ulster at the RDS Arena on Saturday in the Guinness PRO12. Despite being on the back foot for much of the first half, Leinster led 9-6 at the break thanks to three Madigan penalties - the last of them coming after a yellow card for Ulster's Dan Tuohy for diving off his feet to take out Isaac Boss at the ruck. The Ulstermen should have been in front at that stage, especially given the injury-enforced departure of Leinster captain Jamie Heaslip due to a shoulder injury and some passive home defending. Two penalties from the fit-again Ruan Pienaar had given them an early lead. The visitors fell further behind following an opportunist Madigan try in the 42nd minute, before prop Wiehahn Herbst's first touchdown in Ulster colours cut the gap to 16-11. But Madigan's fourth successful penalty, coupled with a deserved late try from man-of-the-match Jack Conan, saw Leinster bounce back impressively from last week's disappointing defeat to Munster. Scarlets gained sweet revenge over Ospreys in a full-blooded encounter at Parc y Scarlets as they beat the Guinness Pro12 leaders 22-10. Not only was it a fine response for Scarlets' 17-15 defeat at the Liberty Stadium last weekend, but the victory was also their first over Ospreys since Boxing Day 2011. Ospreys were undone by tries from Liam Williams and John Barclay, while Rhys Priestland kicked over 12 points. All Ospreys could muster was a try from Dan Evans and a penalty and conversion from the boot of Dan Biggar. The defeat also ended a run of 17 wins for the Ospreys against all the other Welsh regions going back to 2011. 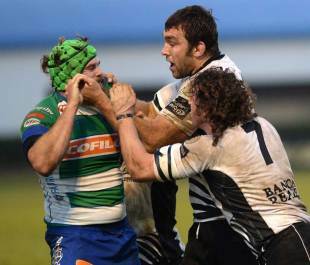 Benetton Treviso held firm to deny Zebre and win 17-15 as the league's bottom two sides went head-to-head at the Stadio Comunale di Monigo. Treviso took a 10-3 lead into the final 15 minutes, courtesy of a converted Michele Campagnaro try and a penalty from Jayden Hayward, before bursts from both Italian sides created a frenetic finale. Zebre, who were only on the board thanks to Edward Padovani's first-half penalty, finally showed some signs of life as lock Quintin Geldenhuys dotted down with 10 minutes left, but crucially the conversion to level up the scores was missed. Edoardo Gori struck back almost immediately for the hosts, with Hayward adding the extras to rubber stamp the win, despite Brendon Leonard crossing over for Zebre in the dying moments. This time substitute Kelly Haimona was able to add the conversion for the visitors, but it was too little too late. The last-minute surge was not enough to turn the game around but it did at least give rock-bottom Zebre a bonus point to show for their efforts, although they do drop to the foot of the table with Treviso moving two points ahead of them.